ACT Coroner’s Court has observed the graphic video of a Canberra truck driver who died when he was trampled by a crane. Geoffrey William Blackfella Gowan died on his birthday a few years ago while picking up large waste bins at Evatt shops. The footage showed Gowan receiving serious neck and chest injuries when the arm of the crane jammed him against the truck with his feet elevated off the ground. A police witness also showed footage to the court of a re-creation that reveals poor visibility and lighting in the area during the accident. The court maintained that the poor lighting coupled with Gowan’s inexperience and inadequate training contributed to his death. 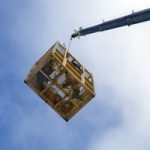 The Court was informed by work colleagues that Gowan had limited experience with a crane as well as low level of training and competence with the equipment used. The investigation is ongoing.